Xherdan Shaqiri's third goal of the season wrapped up the points in stoppage time as Liverpool maintained their unbeaten start to the season to remain on the coattails of the champions. Burnley remain in the bottom three after a 10th defeat of the season on Sean Dyche's 300th game in management. Dyche demanded a response from his Burnley players after Saturday's abject defeat at Crystal Palace and that was exactly what he got as the Clarets took advantage of Liverpool's seven pre-match changes, and the loss of Joe Gomez to injury on 23 minutes. 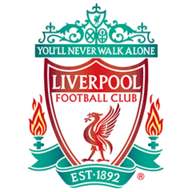 After Virgil van Dijk fired a free header straight at a thankful Joe Hart, Chris Wood saw a deflected strike loop over the bar before, from the resulting cleared corner, Phil Bardsley's rasping 25-yard drive flew just wide of the Liverpool goal. 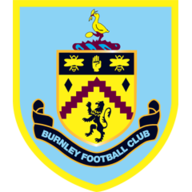 Burnley thought they had capped a positive first-half display with a goal on 41 minutes as Barnes' first-time volley from a Robbie Brady free-kick flashed past Alisson into the back of the net, but the effort was correctly ruled out for offside. But Alisson's fast thinking immediately after that save released Salah, who in turn played Shaqiri through on goal, and the Swiss rounded off a fine outing for the Reds with their third. Liverpool have conceded just six goals in their 15 Premier League games this season - equalling the top-flight English league record at this stage of a season, alongside Man Utd in 1985-86, Arsenal in 1990-91, Chelsea in 2004-05 and Chelsea in 2008-09. This was the first Premier League game that none of the trio of Mohamed Salah, Roberto Firmino or Sadio Mane have been in Liverpool's starting XI since May 2017 versus West Ham United. This was the 50th game that Liverpool's James Milner has scored in overall during his Premier League career and he's not ended on the losing side in any of those matches (W39 D11 L0), which is a Premier League record. This was the 10th competitive game that Jack Cork has scored in for Burnley overall and the first time he's lost when doing so (W8 D1 L1). Sean Dyche is confident Burnley can recover from their recent troubles if they replicate their spirited performance against Liverpool at Turf Moor. Sean Dyche: "That was a lot more like it. We didn't get the result and I'm not naïve enough to know that this is a results industry. But you've got to show a performance level to get results and that was there tonight. Over a season if we keep delivering that level of performance we will get our reward." 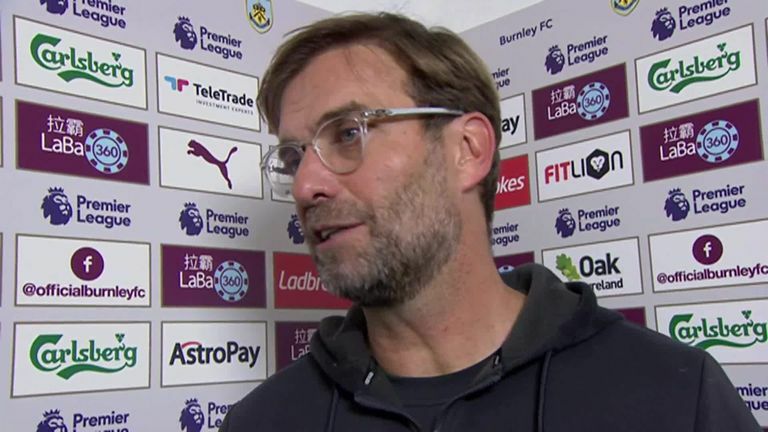 Jurgen Klopp: "Burnley had a specific plan, to be really aggressive in their challenges and stuff like that, so each ball they won helped them and obviously didn't help us mood-wise. So I was really happy we could just adjust a few tactical things [at half-time]. Reacting like we reacted at a tough place like Turf Moor and Burnley, that's special. It's really good." Liverpool were in a spot of bother at Turf Moor until 'Mr Reliable' popped up in midfield to spark a great comeback. At first glance, Milner's equaliser looked simple, but on closer inspection the technique to find the bottom corner with minimal backlift was a sight to behold. He's been the victim of rotation in recent weeks but Milner's contribution at the heart of this Liverpool team, especially when the going got tough, may have just given his manager a selection head ache. 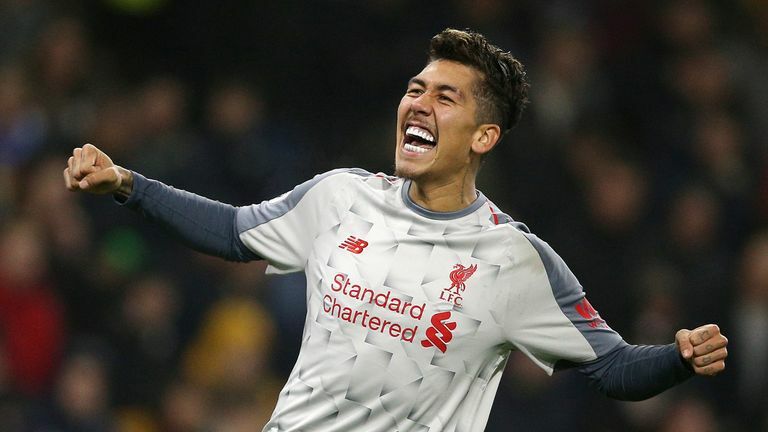 Burnley host Brighton on Saturday at 3pm while Liverpool travel to Bournemouth for Saturday's lunchtime kick-off - live on Sky Sports Premier League.